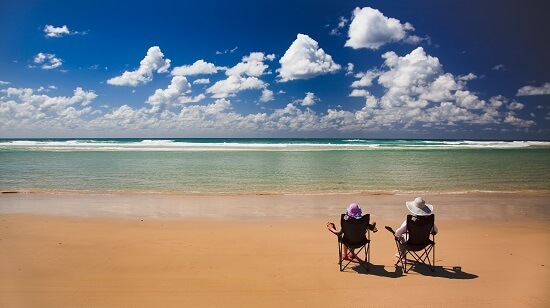 There are hundreds of beaches along the gorgeous coast of Queensland and nearly all of them are picture-perfect. Some are even considered to be the best beaches in the world as they’re home to soft golden sands, clear seas, hidden bays, crashing waves or gentle water. 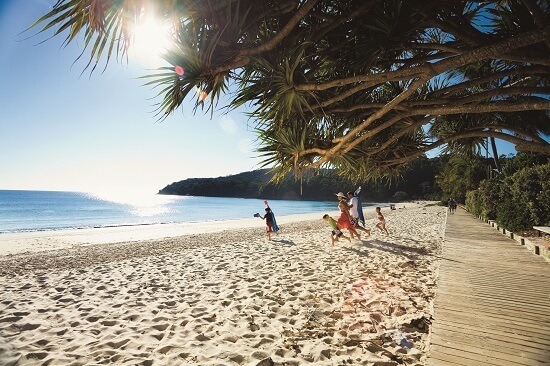 When it comes to beach destinations, it doesn’t get much better than Queensland. The coastline stretches for more than 4,500 miles so it’s unsurprising if you’re feeling overwhelmed by all of those beaches on offer. Here are some of the best beaches in Queensland and the ones you can’t miss if you’re travelling in the area. Fraser Island is the largest sand island in the world and is a World Heritage listed island as it’s also the only place where rainforest grows on sand. It is located off the coast of Hervey Bay and is 76 miles long. The powdery soft sand creates huge dunes so 4WD vehicles are both a necessity and a lot of fun on Fraser Island. Crystal clear, freshwater lakes can be found on the island such as Lake McKenzie and Lake Wabby and you can’t miss a trip to the gorgeous Eli Creek. Eco friendly accommodation is available on Fraser Island and camping is a popular option for adventurous types. 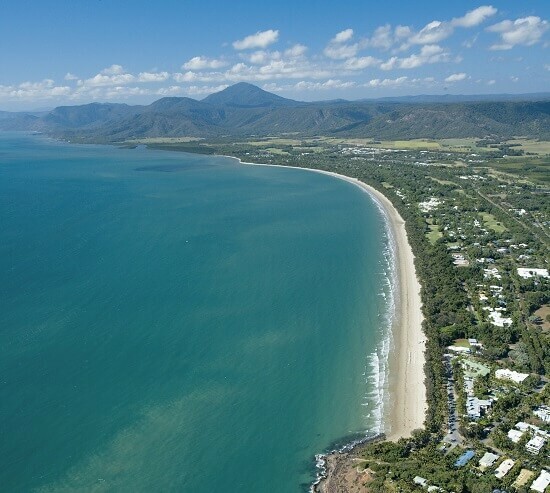 As the name suggests, Port Douglas is home to a four-mile beach that gently curves around the coast and spans as far as the eye can see. One of the best things about the beach is the lack of development, as it remains a quiet and relaxing paradise. The accommodation that is available is tucked away behind swaying palm trees and perfectly hidden in the trees. Kite surfing is popular at the southern end of the beach and youngsters will enjoy crab hunting at the northern rocky headland. Yes, that’s right, Fitzroy Island is an unofficial nudist beach. 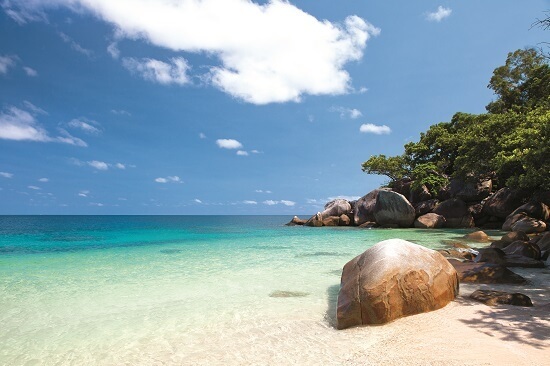 Fitzroy Island is a 45 minute ferry ride from Cairns and can only be described as a tropical paradise. The waters of the Great Barrier Reef are sheltered and calm thanks to the coral reef protecting the western side of the island. This side is perfect for snorkeling and swimming. The island is also home to rainforests and perfectly white beaches where you can spend your days sunbathing and relaxing. The Daintree Rainforest has some of the best beaches in the world and you’re spoilt for choice in this area of northern Queensland. Coconut Beach is one of the best thanks to the huge reef just off the shore and it’s a popular spot for honeymooners looking for a romantic escape. Noah’s Beach is a family friendly camping beach with long stretches of powdery white sand. Emmagen Beach is one of the quietest beaches available. Visitors will often have the whole beach to themselves to enjoy a Robinson Crusoe moment on your private slice of tropical paradise. 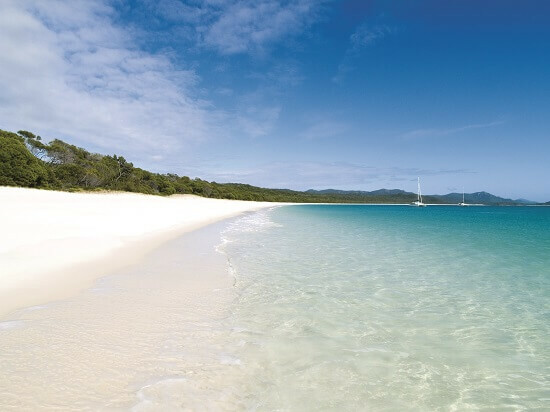 Whitehaven Beach is one of the incredible beaches making up the Whitsunday Islands. The sand here is so fine it squeaks beneath your toes and the tiny grains are said to be the best thing to clean gold jewellery. The warm water is as calm as a pond and so clear you’ll barely even need your snorkel and mask. 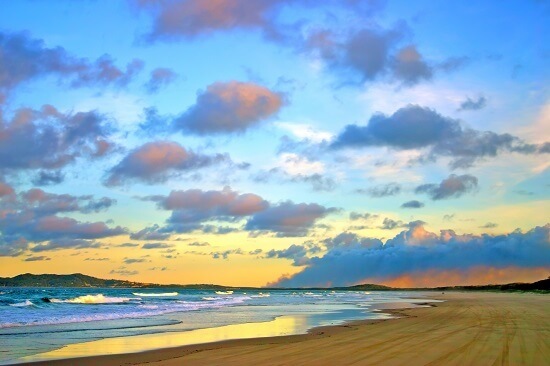 Noosa Heads is a national park and not only is it a stunning beach but it’s also perfect for surfing. The rocky headland extends to the northeast and has southeasterly breezes that make great surf. First Point is the best area for beginners where a small beach with medium swell provides the perfect sized waves for a first-timer. Tea Tree Bay is where the expert surfers congregate among the heaviest waves. Hang out here to learn from the experts and soak up the chilled out surfing vibe. Have you visited Queensland? Would you add any beaches to this list?